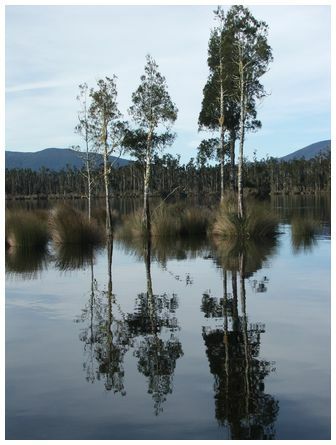 'Photo of Lake Brunner just east of Greymouth early in the morning in August 2008, not a breath of wind and reflections a plenty' wrote Chris. 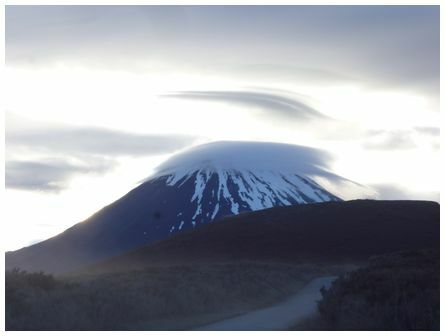 'A nice view of a lenticular cloud over Aoraki/Mt Cook. 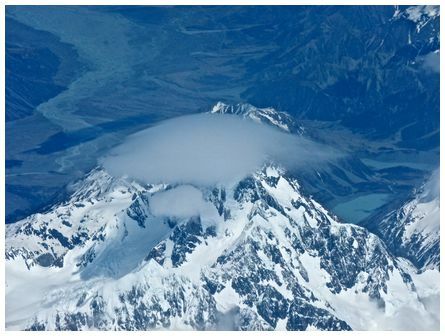 Taken from around 30,000 feet on flight NZ898 from Melbourne to Christchurch on 20 October 2015' wrote Donna. 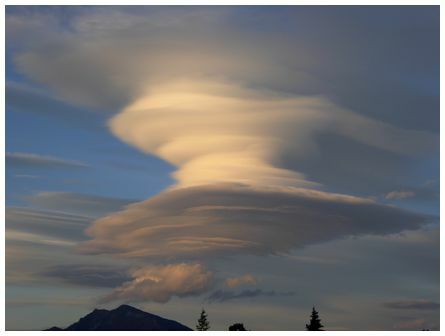 'A spectacular lenticular cloud formation accompaning a strong NW gale photographed in the evening looking from Wanaka towards the mountains on 24 October 2015' wrote Keiko. 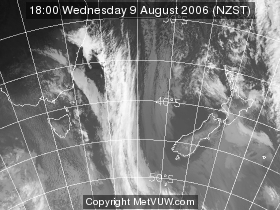 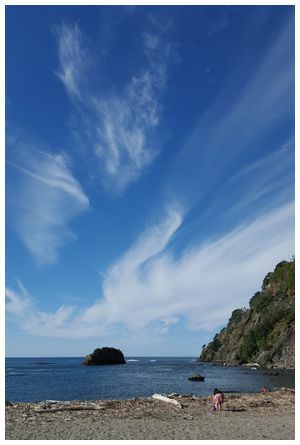 'Taken using a Galaxy Note phone over the Taranaki Bight, showing an aircraft contrail forming a Fallstreak hole in the layer cloud above. 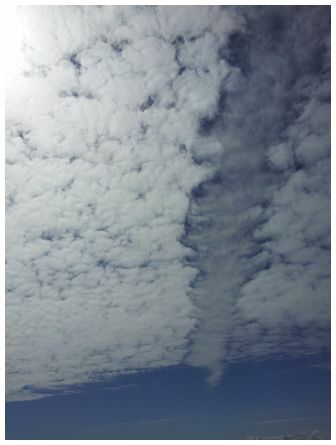 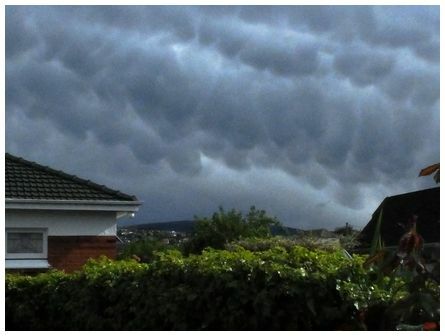 It was very persistent, visible for over 30 minutes, taken at 13:00 on 8 October 2015' wrote Jim.